In this section, we will learn about the installation of Java Debugger on Window operating system. 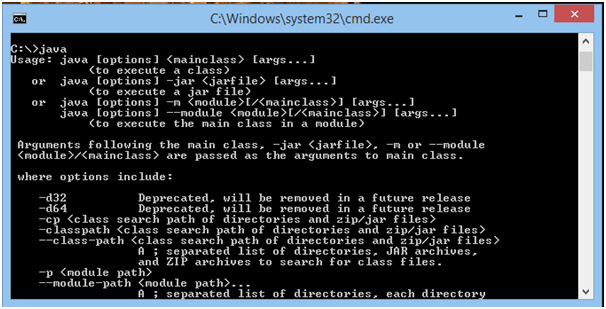 Open command prompt and type java on the console to check whether java is pre-installed or not. If the above message generates on your console then it means java is not installed. In this case, follow the below link to install and set-up the java path. If the below messageis generated on your console then it means java is already installed on your system. Verify java version by typing java-version command on console. Note- To execute JDB commands, it is required to have JDK 1.5 or above version. 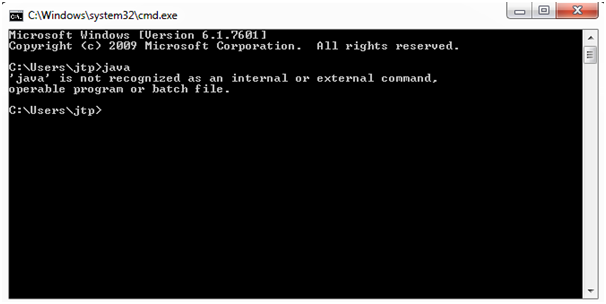 Now, to verify the JDB installation in your system, type jdb -version command on console.